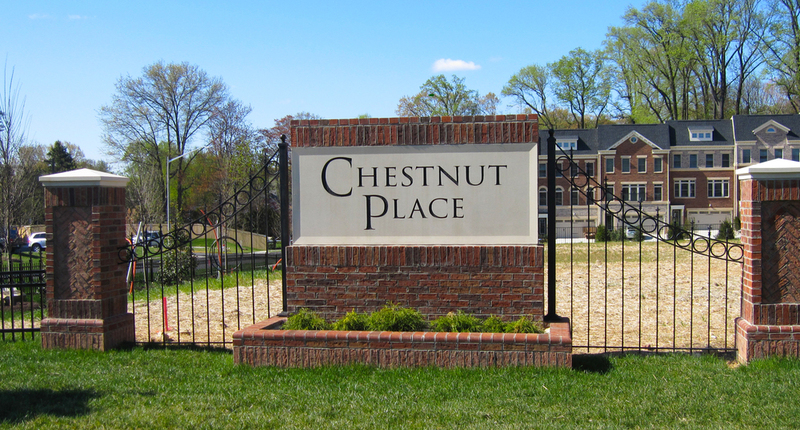 Chestnut Place LP — Urban LTD.
Project Elements: Route 7 streetscape and entry features; three community greens and tot lot. Three open community greens featuring large pergolas and a play space, providing open space amenities throughout the community. 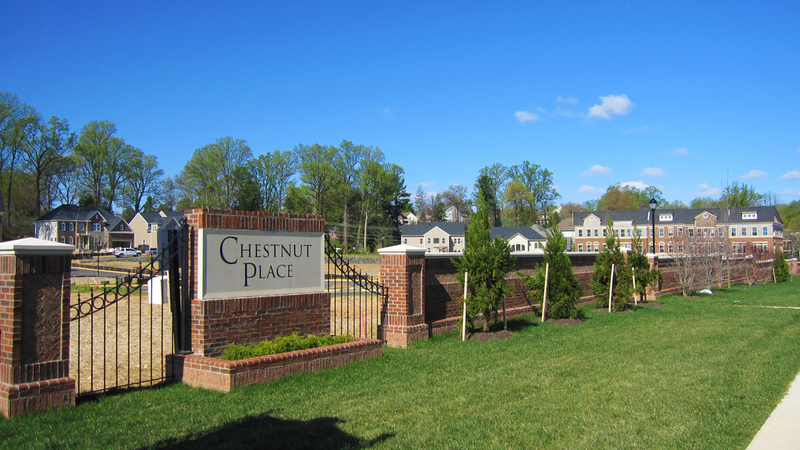 A brick privacy wall and community signs features are coordinated with piers at the entries.